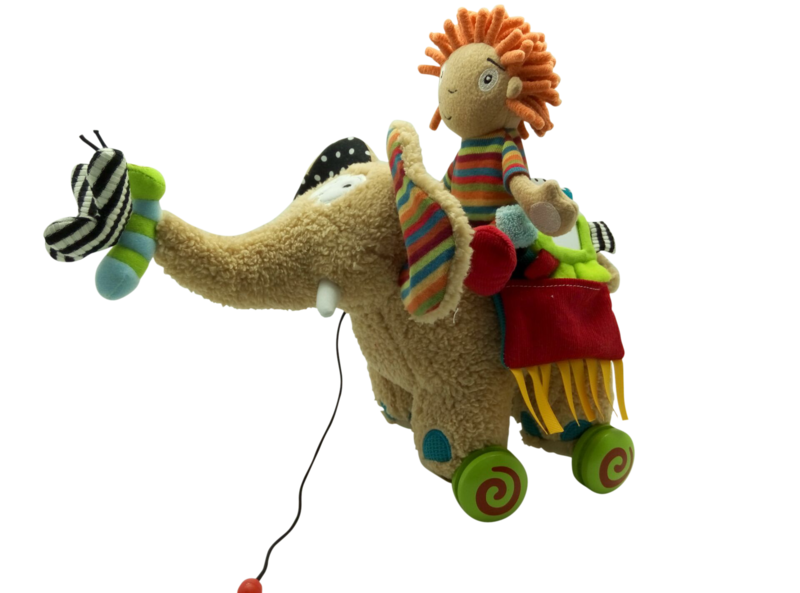 This toy may come with the inclusion of a baby elephant or a child on the back. 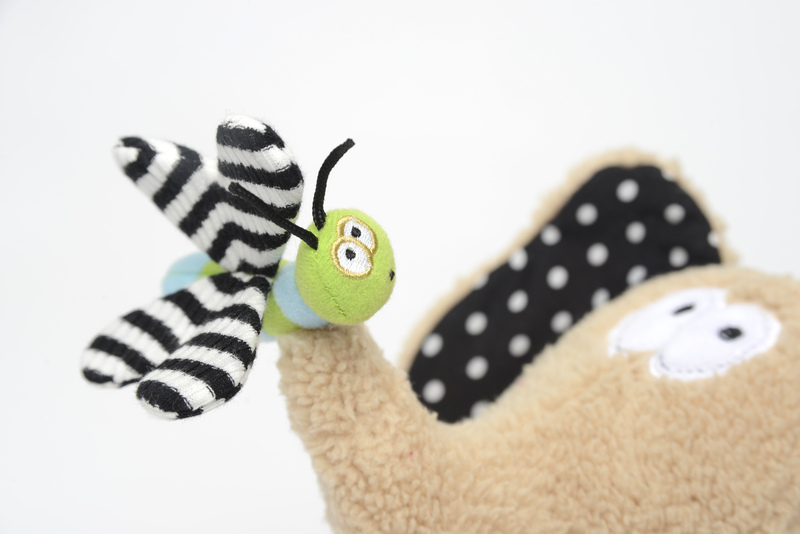 A final decision will be made upon completion of both samples. 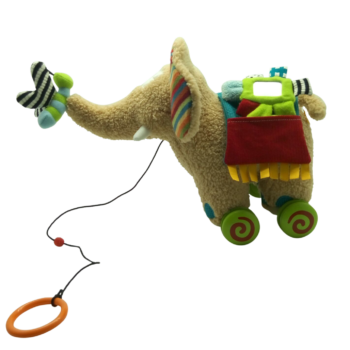 If we use the elephant the toy will have a bell, if we use the child the toy will include a sound chip of giggling. 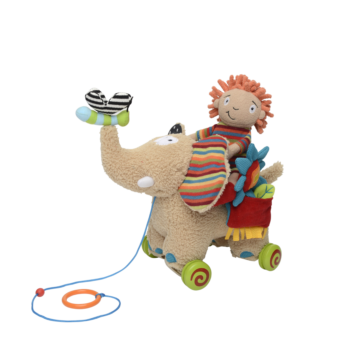 The pull along wheels has wooden pull along wheels that the elephant can be detached from. 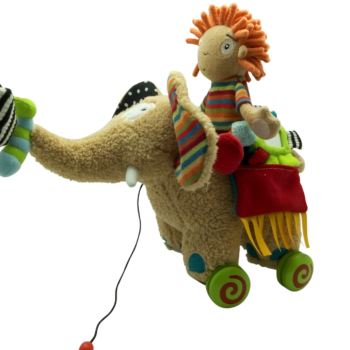 The trunk of this elephant squeaks. 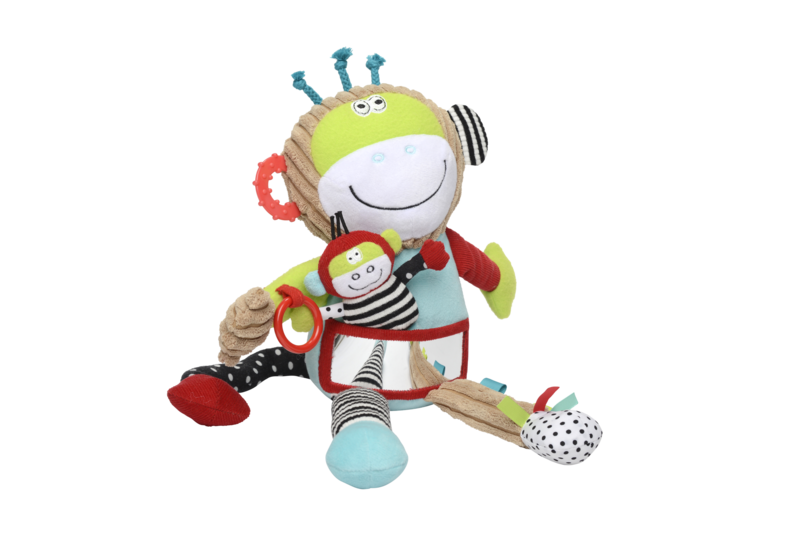 It comes with a leaf teether in a pocket and a flower rattle in a pocket. The pull cord has a breaker. 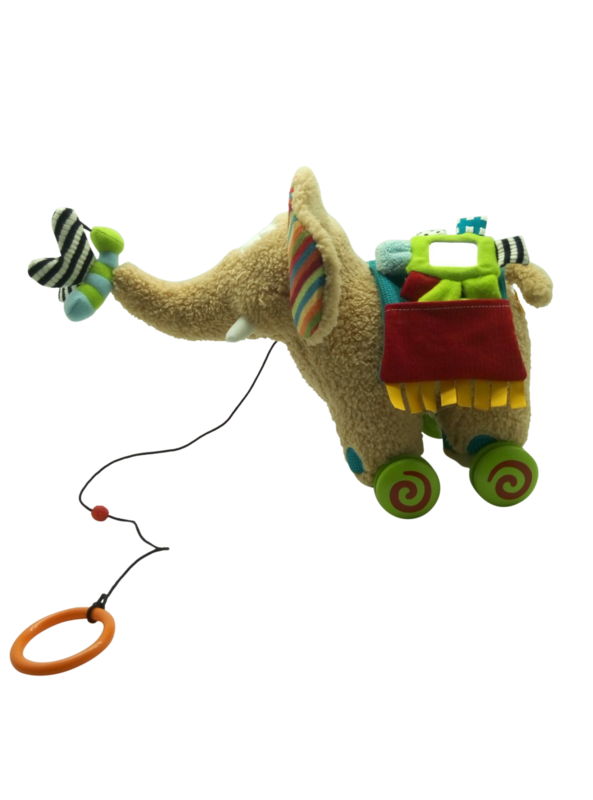 There is also a teether ring on the end of the pull cord. 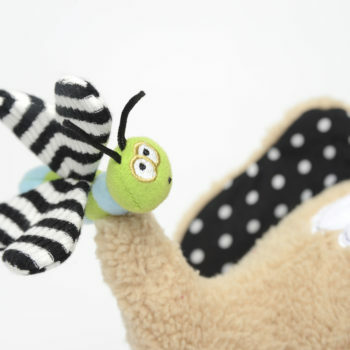 Rings can be found on the tail and the Dolce dragonfly is also included. 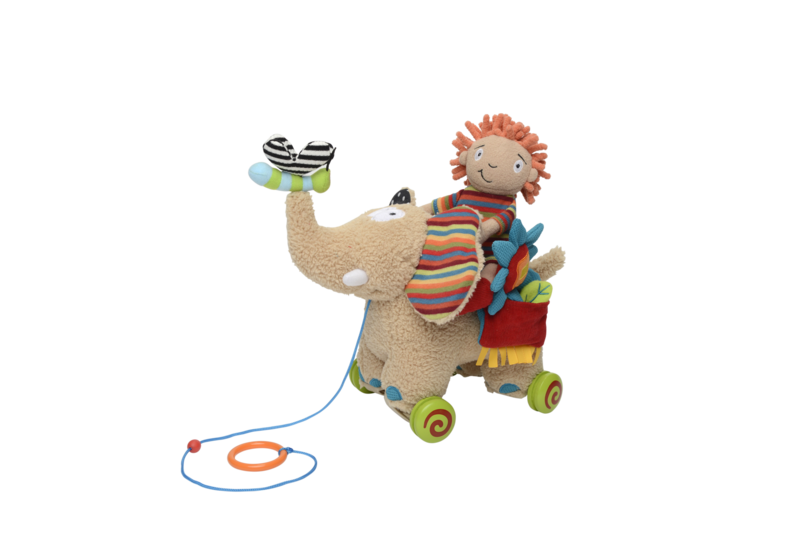 The Pull Along Elephant comes manufactured with top quality fabric throughout the product. 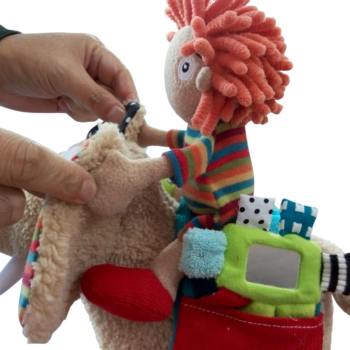 As with all Dolce toys, this toy also offers various developmental and learning opportunities. 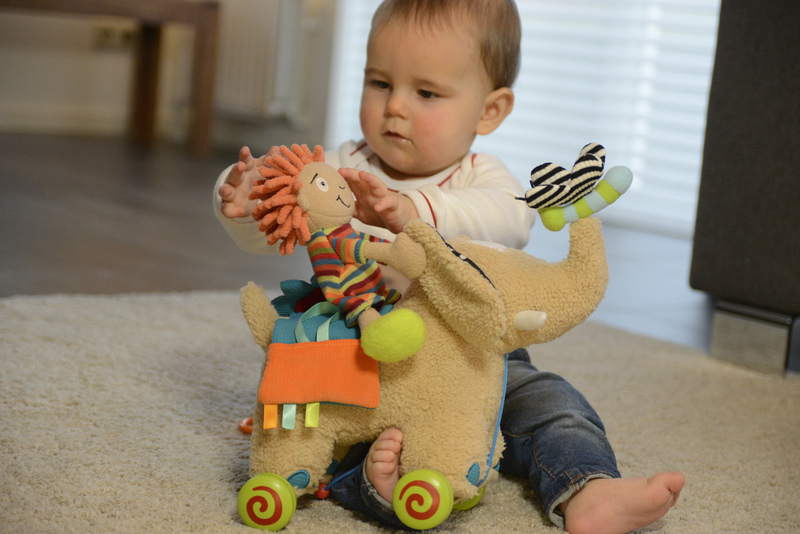 It comes equipped with numerous activities and encourages mobility and hand eye coordination. 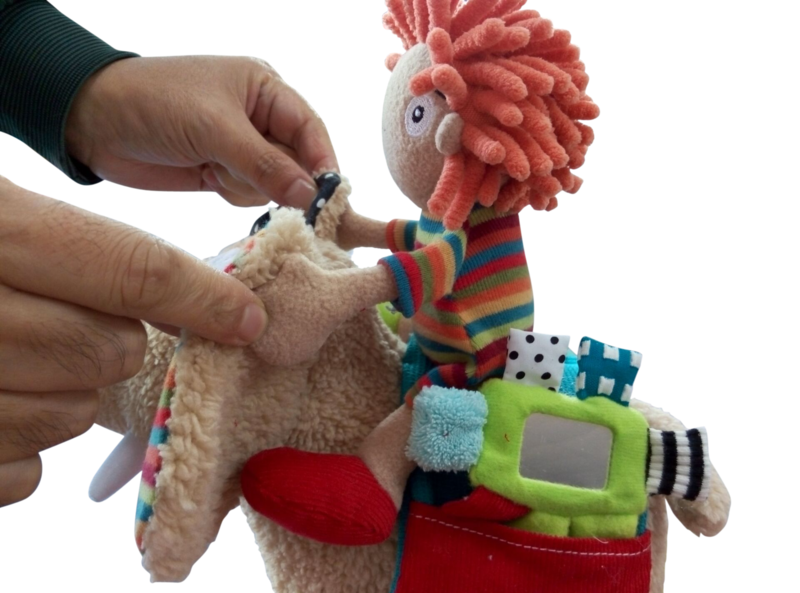 This product also offers an opportunity to enhance motor skills.